Over the last three decades Viet Nam has lost most of its mangroves, primarily due to the expansion of shrimp farming, a major contributor to its economy. To help the Vietnamese government address the issue, IUCN and Dutch NGO SNV Netherlands Development Organisation implemented the Mangroves and Markets project (funded by the International Climate Initiative) in Cà Mau, to help shrimp farmers get organic certification under the Naturland, EU Organic, and other organic labels. The certifications require at least 50% mangrove cover per farm. Farmers can then sell certified shrimp to the Minh Phu Seafood Corporation at a premium price. The project also supported Cà Mau in piloting a Payment for Ecosystem Services system and policy, requiring seafood companies to pay farmers an incentive of VND 500,000 (£17.77) for mangrove conservation and restoration per hectare for providing ecosystem services. The success of the project has led to its replication in Ben Tre and Tra Vinh provinces. In recent decades, Viet Nam has lost most of its mangroves, primarily due to the expansion of shrimp farming, a major contributor to its economy. The loss of mangroves is problematic as healthy mangroves make important contributions to both climate change adaptation and mitigation. The loss of mangrove ecostems also means less natural habitat for aquatic and terrestial species, and fewer livelihood options for local communities. For this particular project, organic certification allows for mangroves to be protected and restored, and enables farmers to fetch a premium price for their catch, thanks to Minh Phu Seafood Corporation’s involvement in the project. Providing incentives is the key here. 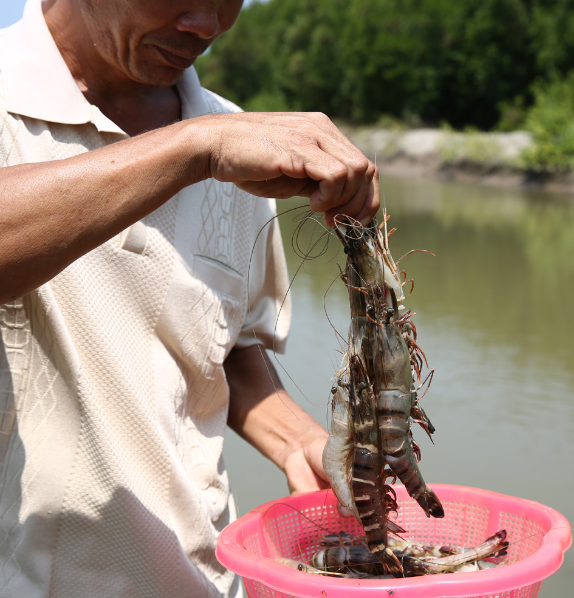 The shrimp farmers have an incentive to conserve and restore mangroves and obtain organic certification, and Minh Phu Seafood Corporation is able to export the organic shrimp to the European market, thus expanding their market reach. The project also successfully supported Cà Mau in piloting a Payment for Ecosystem Services (PES) system. This system provides farmers with an additional incentive for mangrove conservation and restoration, by paying farmers an additional 500,000 VND (£17.77) per hectare of mangrove for providing ecosystem services. For such an initiative to be successful, it is important that trainings are provided to most stakeholders involved, including the farmers and shrimp processing companies. For this project, Minh Phu also invested in its own Internal Control System team, a supply chain from farm to factory, and financial incentives for collectors, collecting stations, and payments to support the FMB with monitoring. By the end of the first phase of the project, over 2,000 shrimp farmers were trained in certified organic shrimp production. Of these, over 1,000 farmers, managing 7,000 hectares of integrated mangrove-shrimp, had signed contracts to maintain 50% mangrove cover and over 500 farmers had been certified using the Naturland organic standard. The first phase of the project received awards from the Cà Mau government for helping the province meet its socio-economic and environmental goals. The project is also supporting Cà Mau Provincial Peoples Committee to pilot Decision 111 to regulate organic shrimp projects in the province. 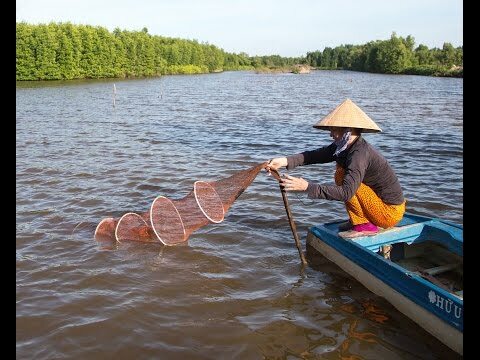 This decision was issued in 2016 and is being monitored by the Vietnam Administration for Forests as a pilot model of direct Payments for Ecosystem Services for aquaculture. As of June 2018, the project has trained over 5,000 farmers. The project has also contributed to the replanting of80 hectaresof mangrove forest and the protection of 12,600 ha Mangrove forest. This solution is published in the Business engagement portal.